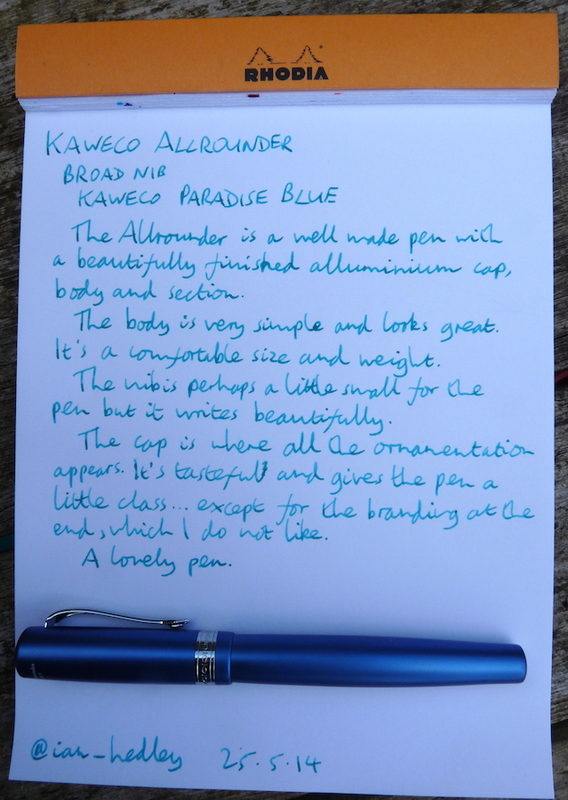 Kaweco Allrounder fountain pen review – Pens! Paper! Pencils! 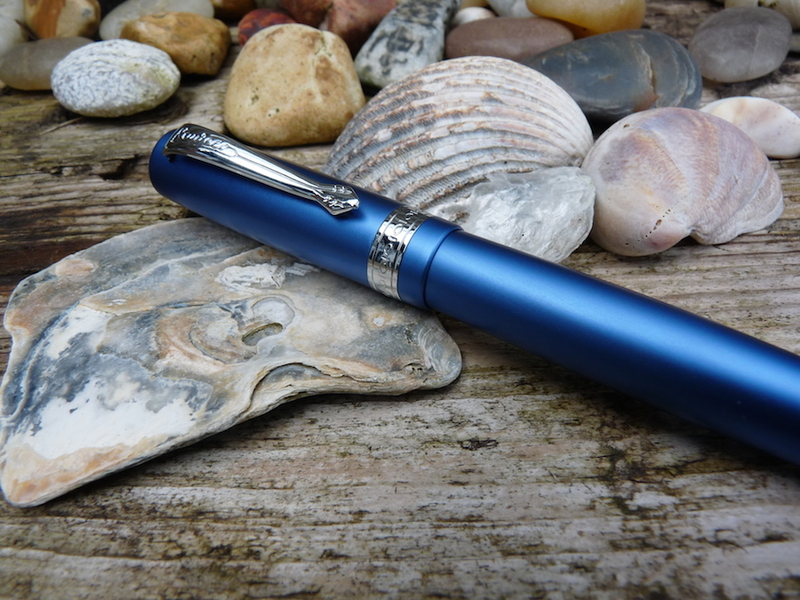 The design of the Allrounder is almost identical to the Student, the differentiating factor being that the Allrounder is made from anodised aluminium rather than the Student’s plastic. This also has an effect on the price: the Allround costs almost twice as much. The design is from the 1950s and has a classic quality to it. The barrel is a simple smooth cylinder with no ornamentation or styling except for a small indentation at the very end. The section is the same material and finish as the barrel, which is something I like. It’s comfortable to hold and a reasonable size. The build quality of the Allrounder is fantastic. Nothing is loose or rattly or wobbly. It all feels exceptionally well made. The nibs are interchangeable with other Allrounders, Students and Sports. I’ve heard varying reports about broader Kaweco nibs. I think you’re generally going to be fairly safe with extra-fine, fine and medium (but of course with nibs there are never any 100% guarantees) but broad and double broad can be problematic. I’ve got a double broad nib in my Dia 2 which is great but I’ve found this broad can run a little dry sometimes. 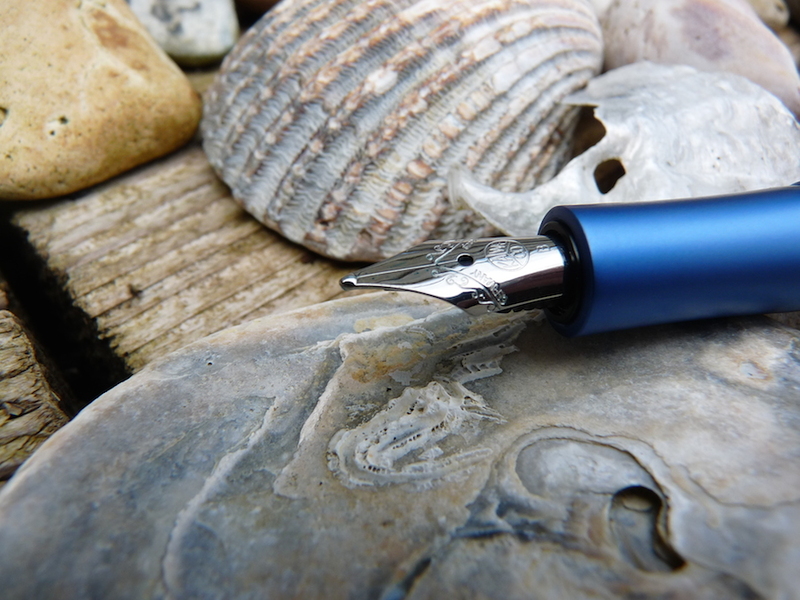 It’s smooth but it’s as if the feed can’t keep the nib supplied with ink fast enough. I’d suggest that if you are buying a Kaweco and want a broad or double broad nib that you buy it from somewhere that will help you out with tuning or returns, just in case you’re unlucky. However you’re probably safer sticking with something medium or finer. 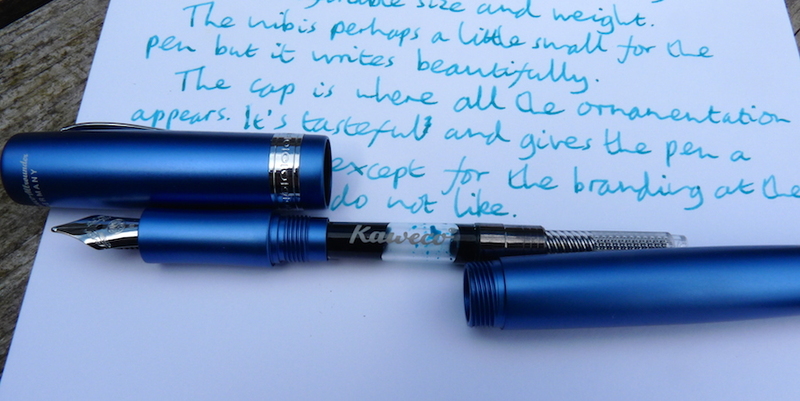 Kaweco’s nibs at that end are generally wonderful. The cap closes with just a small turn and matches the rest of the pen perfectly. The cap is where all the ornamentation happens. 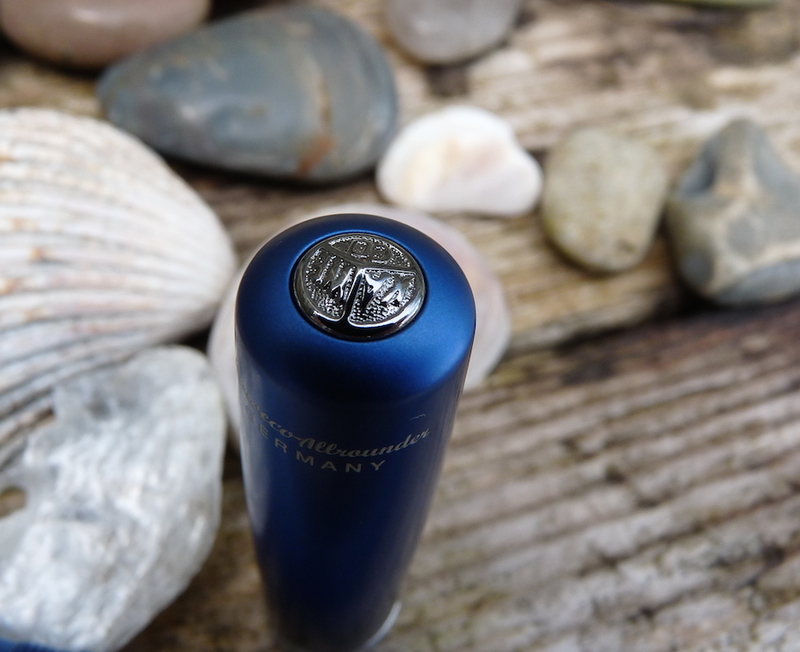 The strong very clippable chrome-plated brass clip has some decoration as does the chrome-plated band around the base. It all looks good (except for the branding on printed at the top of the cap) and lends the pen a little retro class. 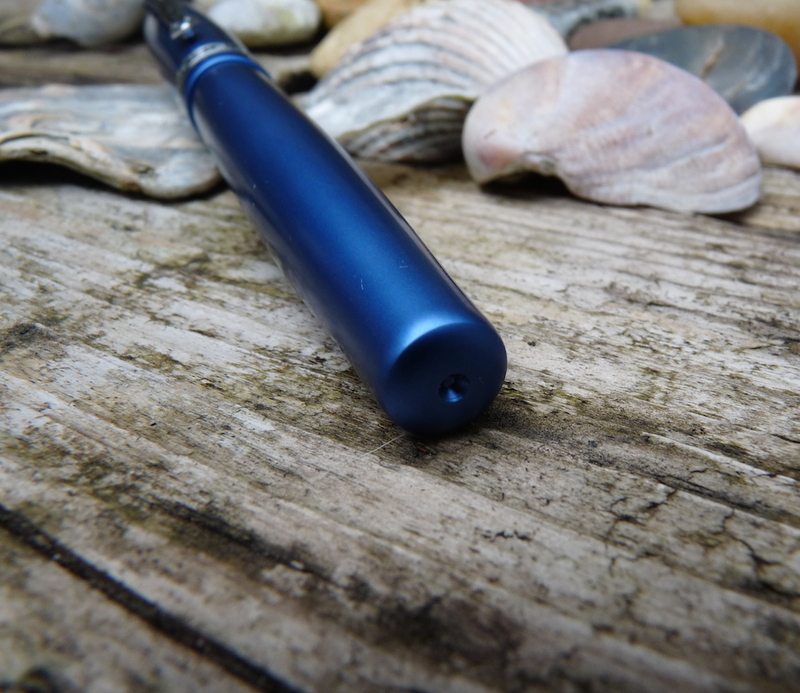 The cap does post but not very deeply, making the pen very long. The supplied (in the UK at least) converter works well. It is in fact exactly the same as the one used in Monteverde pens (except with Kaweco stamped on the side) so it must be a standard and rebranded Chinese (I expect) model. Whatever, it works as it should. If you’d rather use cartridges then you can use any standard international ones. With the broad nib, this pen wasn’t great. Once I swapped in a medium nib it became one of my favourites. 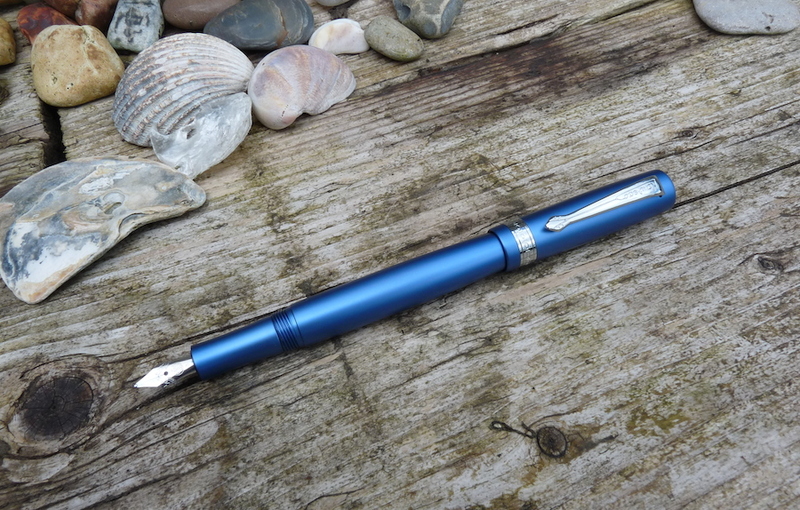 There is a big price jump from the Student to the Allrounder but whereas the Student is a perfectly good pen (in fact, a very good pen), the Allrounder is a special pen. 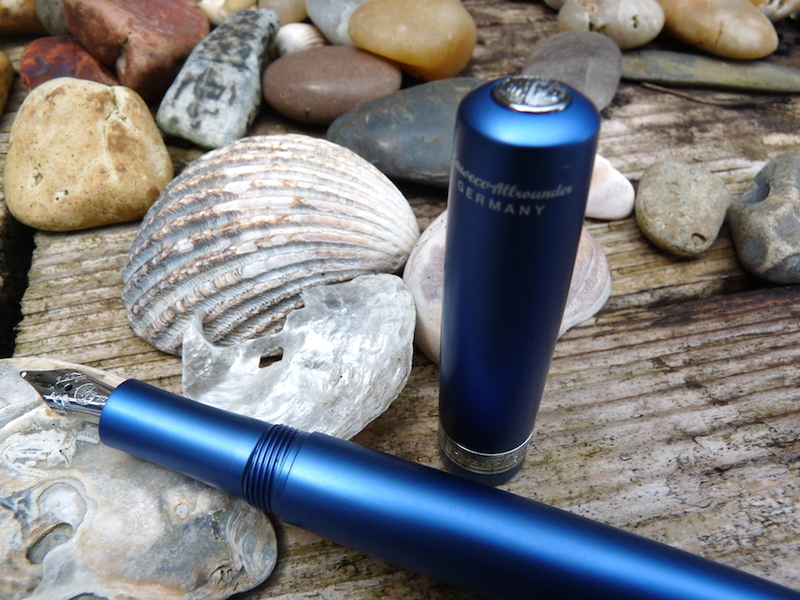 It’s extremely well made and the anodised aluminium finish is really very wonderful. Tread carefully if you want a broad nib but jump in with a loud hurrah if you like something finer. 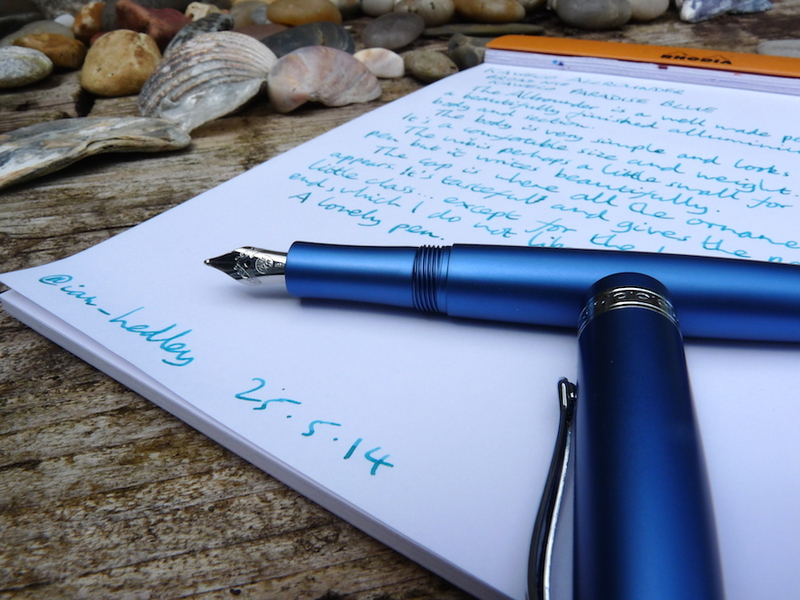 You can find some more reviews of the Kaweco Allrounder on Pennaquod. Thank you to Kaweco who sent me this pen for free to review and to keep. I didn’t let their generosity influence my views.